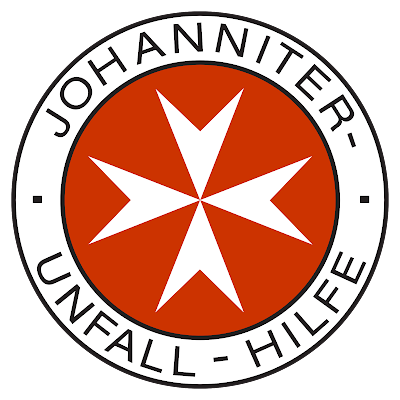 Johanniter-Unfall-Hilfe e.V. is a German Christian non-governmental organization, dedicated to excellence in the field of first aid, ambulance service, social service programmes and other projects in the medical and social field. The Federal Headquarters are based in Berlin, Germany. Johanniter International Assistance is the operational unit for humanitarian aid, development co-operation and emergency relief, implementing and supporting projects in Health, Nutrition, WaSH as well as Food Security & Income Generation worldwide. Johanniter started their activities in Southeast Asia in 2008 in response to the devastating cyclone Nargis in Myanmar, followed by activities in Cambodia in 2011 and the Philippines in 2012. All support measures were and are implemented through local partner organizations. According to Johanniter core competencies, projects focused on public health, WASH, livelihood, food security and nutrition as well as disaster risk reduction and mitigation. Due to the shrinking spaces for civil society organisations in Southeast Asia Johanniter will start a new cross--border programme, that aims to strengthen grassroots civil society organizations in Southeast Asia, in particular Myanmar, Cambodia and the Philippines so they can fulfill their role as 'Agents for Change'. To this end institutional and programmatic capacities are built up, individual and innovative funding strategies are developed to increase financial independency and structures for effective networking and advocacy are in place and actively used. The proposed capacity-development approach uses global experiences but goes beyond traditional training concepts and was initiated by the partners themselves. The programme aims to lead to active participation in the localization agenda and fosters active involvement within development policy processes. Currently, Johanniter operates Country Offices in Yangon (Myanmar), Phnom Penh (Cambodia) and Cebu (Philippines) who are responsible for monitoring and compliance of the programme’s activities in their respective countries. The Senior Finance Manager will be responsible for all financial aspects including financial planning, management and control of Johanniter programme ‘Grassroots Organisational Development- Working Towards Humanity (GROWTH)’ in Myanmar, Cambodia and the Philippines. In her/his main function s/he will technically support the Heads of Mission in those three countries in their financial supervision and capacity building efforts of the involved programme partners (2 in Cambodia, 2 in Myanmar and 1 network of 7 CBOs in the Philippines) in implementing GROWTH. S/he will also be responsible for the consolidated financial monitoring as well as consolidated financial reporting to the donor. Responsible for consolidated financial reporting of the GROWTH programme in close cooperation with Heads of Mission and Senior Programme Manager GROWTH. Experience of conducting capacity development for national organizations and CBOs. Start date: Tuesday, January 01, 2019. Contract duration: Definite contract for two years (with possible extension). Remuneration: Between 46,780 and 49,250 € annual gross salary (according to Johanniter AVR-J internal tariff and depending on relevant previous working experience). Please indicate “Senior Finance Manager Southeast Asia” in the subject line of your e-mail and mention your earliest date of availability.